TD 81 JXC 274 which is a Leyland Tiger PS1 with Mann Egerton body. 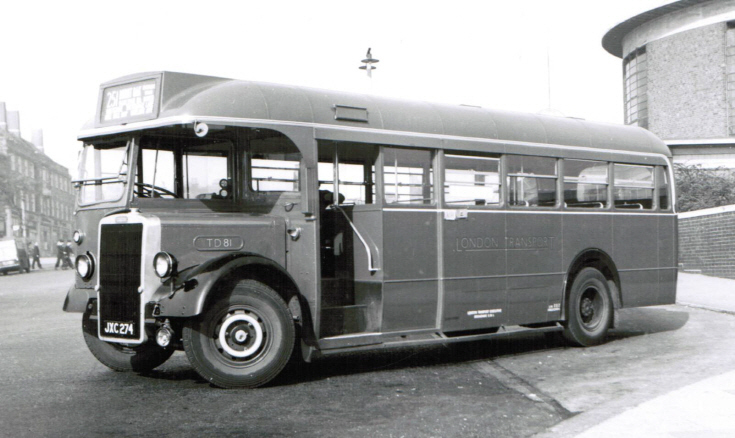 It entered service at Muswell Hill garage in Mar 1949 from new on 251 (and 210, 212). It was transferred to Leyton garage in June 1954 and then to Kingston in 1957 and in June 1959 withdrawn from service and then exported to Ceylon (Ceylon Transport Board) later that year. So this photo is dated between 1949 and 1954.